The novel is structured as a kind of diary, relating in its early stages Smithy’s day by day labours down the rows of vines, then the sessions in the pub afterwards. It is significant that the shortest chapter in the book falls on a Saturday, a day of rest. Without his job, it seems, Smithy ceases to exist. The men that he works alongside consist of different generations, but what binds them is drinking. It is also what has ruined Smithy’s life. Made it pass without his noticing, leaving him with plenty of regrets - but too late it would seem, now that it’s nearly the end. Win anything on the races? Wallace asks me. I run my finger along the edge of the shovel. More than half the blade’s been worn down and the edge isn’t straight any more. It’s far from straight. It’s crooked all over the place. Win anything on the lottery? Wallace asks. I knock the dirt off the shovel and put oil along the blade. You win anything? I ask. I show him the shovel blade. Wallace finishes his shovel and sticks it in the ground. He takes another one off the tray and knocks the dirt off it. You hear about George Alister? Wallace asks me. Jeez, he says. Hasn’t heard about George Alister. I hawk and spit over the side of the tray and reach back for the water bottle and drink and spit again. Wallace hands me a stone from the toolbox and I start putting an edge on the crooked blade. Wallace picks at a splinter. Bloody hell, he says. Hasn’t heard about George Alister. Smithy is a great character, but in the early parts of the novel he is barely a man of words. It is his reliability and stoicism that frames him, but it is his small actions that characterise. Visiting his absent son’s wife, he pours himself a lemonade (he can now no longer hold down food) - “I put the bottle back in the fridge and rinse my glass, placing it upside down on the dish rack.” And having discovered some kids tormenting a rabbit, which he mercifully puts out of its misery before teaching them to skin it, coming upon it the following day, not eaten as he’d suggested but merely cast into some bushes, murder of crows circling, Smithy kneels on the bare earth and digs it a grave with his bare hands, a small act of tenderness that leaves his hands bleeding. Always, she says. And I love going back this way. You can see the whole sky in front of you. Yeah, well you ought to be careful, I say. There’s some nasty characters in this town. I know, she says. But they’re all my husband’s mates, aren’t they? There’s whole other generations, I say. It is in the pub that Smithy’s sobriety properly reflects his new perspective on things. The tone is Wake in Fright, but Smithy’s eye is in – he is not an outsider. The smell of beer is everywhere and it brings memories to me, shapeless, formless memories, all soaked in the smell and the smoke and the noise around me and they are the forgotten memories of a lifetime…and there are men who talk and there are men who are silent and those who talk do not know what they are saying and those who are silent do not listen, but drink for the very silence, for the silence of their souls. And I was such a man. Now sober, with memories and new dreams flooding back, Smithy tries to communicate, but finds that those he wants to talk to aren’t able to listen - the publican’s wife is too busy, and the drunk kid who works alongside him in the vineyard isn’t ready to hear it. It is half-way through the novel that Charlotte appears on his doorstep, not knowing who else to turn to, Brett due to be released the next day. Smithy takes responsibility for her, a daughter of the landed gentry who’s chosen badly, been disowned as a result. Up until this moment the novel has been patient and hard-working, just like its narrator, delicately matching form and content. But it is the arrival of Charlotte into his life, and the resulting violent infantilism brought upon the town by Brett and his friends that ultimately draws out the best in Smithy. Brett has murdered before, and gotten away with it. In the small town, everybody knows this, but nobody wants to talk about it, except Charlotte, and then only to Smithy. Smithy has things to say, but instead he listens, even as the memories fill his mind. Charlotte is self-pitying and defensive, but in her voice and ultimately in her actions, Smithy sees a parallel with his own wasted life, its beauty and sadness, its tragedies defined by its inevitabilities. But it is Smithy’s memories that really set him free. 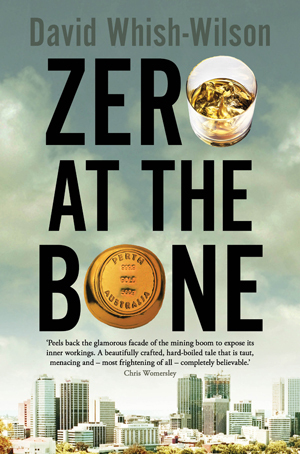 In one of the finest passages of writing I’ve come across in an Australian debut novel for many years, Smithy casts his mind back to his time as an orphan in a Mission settlement in long elegiac sentences of rare power, drawing out the strange beauty and mystery and terrible sadness of the images of his childhood, even as Charlotte embarks upon a long self-serving monologue (at 49 pages it’s too long, but more problematic is that it’s in exactly the same register as Smithy’s earlier reminiscences), designed to justify her love for an abusive husband. By the novel’s end Smithy has returned to his job on the rows, his son now back to work alongside him, the cycle of actions are repeated, but his time the repetition is made significant, poignant in light of recent events. The Vintage and the Gleaning is a book that I’m going to re-read at the next opportunity. The Vintage and the Gleaning – Jeremy Chambers, Text, 2010. “Smithy is a retired shearer turned vineyard worker. He’s sober now after a lifetime of drinking, and starting to see the world with new eyes. But he still has to deal with the past, and his feelings of guilt, nostalgia and loss. 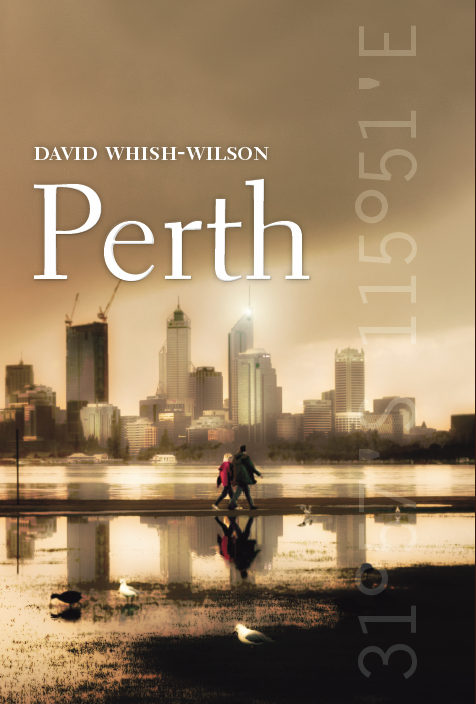 It is in his attempts to help Charlotte, a young woman in a desperate situation, that Smithy ultimately seeks his redemption” – from the dustjacket.